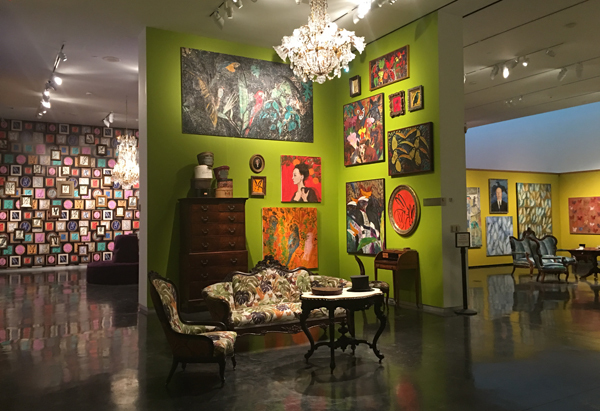 A new exhibit at LSU Museum combines the pop art of Hunt Slonem with centuries-old antiques. 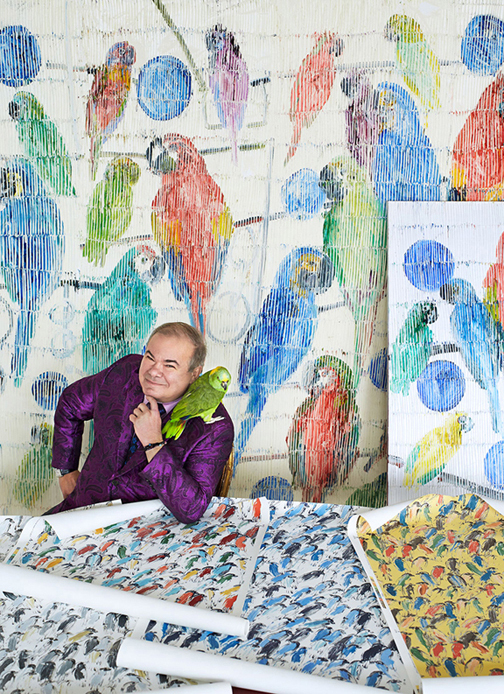 Known for his bird, bunny and butterfly paintings, which are collected by celebrities like Sharon Stone, Kate Hudson and Julianne Moore, Slonem studied at both Vanderbilt and Tulane before moving to New York City in 1973. Much of his work is inspired by exotic locales like Hawaii and Nicaragua, both places he spent time while growing up, but Louisiana’s own tropical setting speaks to him as well. 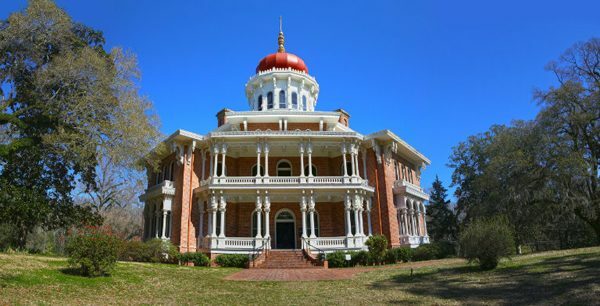 Slonem owns two Louisiana plantation homes, and it’s these restoration and design projects that are the focus of a new exhibit at the LSU Museum in Baton Rouge’s Shaw Center. 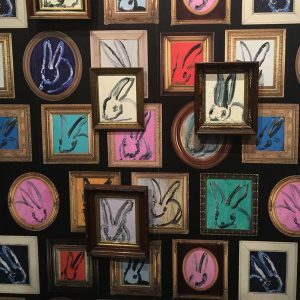 “Antebellum Pop!” is a recreation of Slonem’s plantation aesthetic, pairing his work with $2 million in antiques and decor from M.S. Rau, located on Royal Street in the New Orleans French Quarter. M.S. 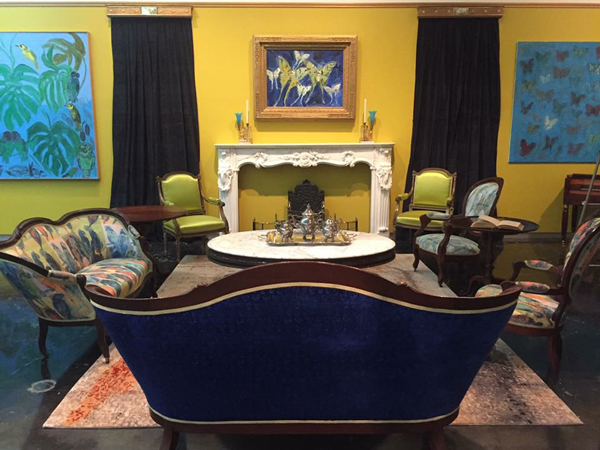 Rau has contributed pieces like a circa 1840 American Rococo Revival étagère from Rosedown Plantation, one of the grandest Antebellum homes in Louisiana, a crystal and doré bronze 24-light chandelier by Baccarat dating to 1880 and a circa 1820 English mahogany pedestal dining table that can seat up to 32 people. M.S. Rau has loaned and donated works to museums in the past, but never on this scale. 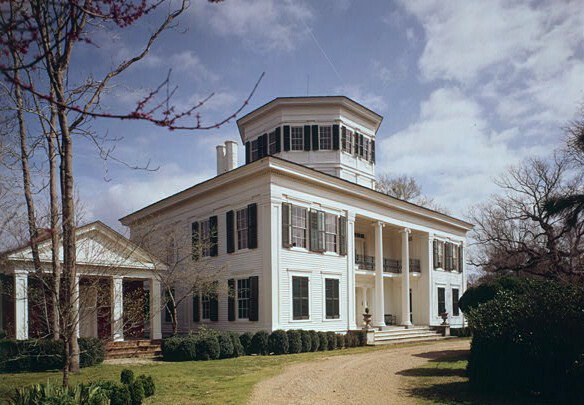 “The idea was to discuss what I’ve been doing for the last 14 years, which is renovating two plantation houses in Louisiana, combining bright colors on the walls and the bright colors in my work with antebellum furniture, changing the fabrics on the furniture and pumping new life and my sensibilities into these 1830s plantation houses,” Slonem says. He upholstered many of his own pieces of furniture to complement the pieces from M.S. Rau, as images from his paintings are now available on fabric, wallpaper and carpet from Groundworks by Lee Jofa. 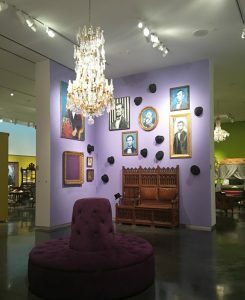 And Interior Designer Ellen Kennon even created special paint colors like “Antebellum Violet” and “Lakeside Napoleon” for the exhibit. Read our full interview with Hunt Slonem here. Antebellum Pop! is on display through August 5 at the LSU Museum. Photos courtesy of Interior Designer Ellen Kennon. See more from the exhibit opening here.